Is a UK Patent Protected in the European Union? Home > Ask Our Experts > Is a UK Patent Protected in the European Union? 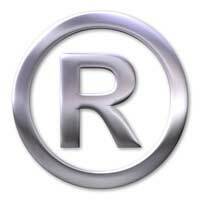 Q.Is a patent registered in the UK protected in the European Union? If not - is the registration transferrable in some way to another country of the EU.? A patent is used to protect a new process or way of doing something. Once a process is patent-protected no one else can use it without the patent owner’s permission. Patents in the UK are regulated by the Intellectual Property Office (IPO) which is a government organisation (part of the Department for Innovation, Universities & Skills). An initial application must be made for the IPO to assess whether the process is suitable for patent protection. The fee for the assessment is £30. Additional fees totalling £170 are payable to obtain a patent. A UK patent will not offer protection in Europe; a separate patent application will have to be made for a European patent. A UK patent cannot be transferred to another country but it may be possible to extend the patent to provide protection in some overseas territories. The IPO website provides a list of countries which may accept a UK patent, subject to any local requirements being completed. However, the majority of countries on this list are outside Europe. To obtain patent protection for Europe an application may be made under the provisions of the European Patent Convention. The application can be made either directly to the European Patent Office or through the IPO. The applicant will be able to elect the European countries in which he wants patent protection when making the application. Alternatively, if patent protection is only required in one country, an application could be made directly to the national patent office of that country. Applications for an overseas patent should be commenced within 12 months of any related UK patent application. In some cases a patent holder may have to apply for permission before applying for a patent that gives protection outside the UK – this is likely to be the case if the patent relates to anything which may affect national security. For patent protection in the rest of the world applications may be made to the World Intellectual Property Office under the provisions of the Patents Co-operation Treaty. Applications for world-wide protection can be filed via the UK IPO. Applying for an international patent can be a lengthy, complex and expensive process – especially for applications made to the World Intellectual Property Office. It is, therefore, highly recommended that independent legal advice is sought before taking any steps either to extend a UK patent or to obtain an overseas patent.